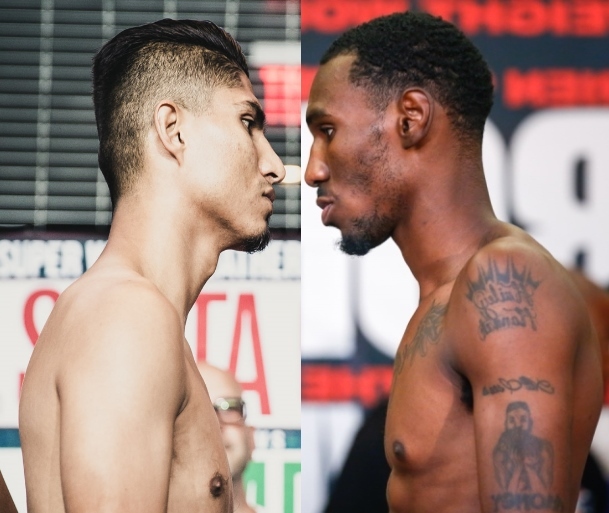 A date and a venue for the lightweight title unification bout between Mikey Garcia and Robert Easter Jr. could be finalized soon. The Los Angeles Times reported late Monday night that negotiations are ongoing for the Garcia-Easter fight to take place either July 28 or sometime in mid-August or late-August at Staples Center in Los Angeles. Showtime would televise Garcia-Easter if a deal is completed. If their 135-pound championship unification fight comes to Staples Center, it’ll represent a homecoming for Garcia. The Oxnard, California native, who now fights out of Riverside, hasn’t fought in the Los Angeles area since he knocked out Rafael Guzman in the fourth round of their June 2011 bout at Staples Center. Generally recognized as one of boxing’s top-five fighters, pound-for-pound, Garcia (38-0, 30 KOs) would move back down to the lightweight limit of 135 pounds to encounter Easter. He became a world champion in a fourth weight class when he dropped previously unbeaten Sergey Lipinets on his way to a 12-round unanimous-decision victory in their 140-pound championship match March 10 in San Antonio. The 30-year-old Garcia initially indicated that he would defend the IBF junior welterweight championship he won from Kazakhstan’s Lipinets (13-1, 10 KOs). Ultimately, though, Garcia gave up that title two weeks ago, rather than making a mandatory defense against unbeaten but unknown Russian contender Ivan Baranchyk (18-0, 11 KOs). Garcia still owns the WBC lightweight title he won by knocking out Montenegro’s Dejan Zlaticanin (23-1, 16 KOs) in the third round of their January 2017 championship match in Las Vegas. The 27-year-old Easter attended the Garcia-Lipinets card and reiterated his desire to fight Garcia next during an interview with Showtime’s Brian Custer. Easter (21-0, 14 KOs), of Toledo, Ohio, barely beat the Dominican Republic’s Javier Fortuna (33-2-1, 23 KOs, 1 NC) in his last fight, which Easter won by split decision January 20 at Barclays Center in Brooklyn. The tall, strong Easter has made three defenses of the IBF lightweight title he won in September 2016, but he hasn’t been especially impressive in his last two fights against Fortuna and Russia’s Denis Shafikov. Easter defeated Shafikov (38-4-1, 20 KOs) by unanimous decision in their 12-rounder June 30 in Toledo, but the scores were wider than the action indicated. Easter won all 12 rounds on two scorecards (120-108) and eight rounds on the other card (116-112).